I’ve been avoiding Samsung’s smartphone ever since my S3 (I9300), mainly because I felt cheated paying a premium for a cheap product. I believe most people would have heard of the famous crack screen on Note(s), crack frames and the eMMC hardware bug. I’m the victim of the latter 2 issues within 6 months of my purchase. Not to mention the slow catch up of firmware update. After Android 4.2, I’ve since switch to OmniRom for 4,3 and now 4.4 to overcome the dysfunctional Samsung BLE SDK. I needed a working BLE phone to work on a project. Waiting for 4.3 from Sumsung even after a year of it’s Release from Google just seems unreasonable. Reading further into the thread then I found this long post of one of the major S3 maintainer. It’s a hour read but it explain a lot of wrong treatment the open source community is getting from Samsung namely violating GPL agreement, last release of source code , and how upper management avoiding a proper fix to existing devices even when the open source developers has submitted patches. It’s heart breaking when this is the result of capitalism. Based on that post, it really change my view about Sony and Qualcomm, which have been very supportive in releasing their source code so the open source community can catch up properly, and hence their users can enjoy some useful custom ROM. I’ve also learnt that xda-developers is probably the first team to get the source code from various hardware vendor and then distribute to other custom ROM developers. Hence, when XDA lost their hardware maintainer, so would other custom ROM. TL;DR; No more Samsung smartphone or tablet from now on. While waiting for a proper Raspberry Pi case from element14 (formerly known as Farnell), I stumble across a site where the author designed a paper case for his Pi and kindly shared it to the world. I gave it a try today, and easily done it in less than 30 minutes. The design is well done, taking consideration into paper thickness and folding allowance. Bravo! I was in a discussion with Matthew Yun today, and just realized that the current rating system for product review or rating contains so much noise that the 5 stars system is simply ambiguous to help consumer to decide a product. We were specifically taking about Google Play, but it applies generally to most review or rating system. I’m a big fan of tower defense games but as it can be seen clearly that nine out of the top ten is 4½ stars. Very seldom we’ll come across a 5 stars games or apps, which makes 5 stars prestigious and rare. On the other hand, vote count is also an important value to consider. If I’m new to any of the games above, and I don’t mind to try any one of them, which one to pick? The one with lots of votes and most amount of stars right? But how to pick when most of them are 4½ star? I dislike the idea of clicking into every game to read the long list of ambiguous features, watch every demo video and browse through the lengthy reviews. Sometime filtering the useless ones. I rather have a friend to recommend some great games they have played or wonderful apps they have used. The stars help with the decisions, but not as helpful. The main rating focus is the last 2 stars, while the first 3 are practically useless, at least for games. I would only consider a 3 star app of it has specific feature which I want and I don’t mind the other craps. But at the current competitive market, someone else would definitely write another better app which is at least 4 stars to begin with. This has effectively made the 5 star rating becoming a 2 star system, i.e. 0, ½, 1, 1½ and 2. What’s the use of the rating if it can only differentiate between good and lousy games. How I wish they’re like IMDB where partial stars are indicated which makes differentiating a 4.1 with a 4.9 easier. This got me thinking of improving the star rating system without taking extra space to show the index. My solution is to split the last star to indicate one fifth of the rating. Now I would know that is better than by a factor of 4. Now I can start crawling through the details of the former. UPDATE: Google Play store did have a Average Rating which shows a proper index, but you can only see it on top of the reviews, and not available in Play Store on the phone. Lately transmission on my RT-N16 has been acting a little too unreliable. Since I have 2 spare Raspberry Pi sitting in my drawer, I’ve decided to start utilizing them as my Bit Torrent client. At the same time, I’ve had plan to turn the Pi into a baby monitor. Great!!! Since the router is not far from the infant bed, I could setup both on the same Pi. First thing first, is to get the Pi up and running. I chose to use the default Raspbian image as I’m more familiar with Debian and for maximum compatibility, in case I need to compile any software. I won’t go through the setup as there’s plenty of “Getting Started” tutorial online for the famous Raspberry Pi. Since I need to connect a webcam to it, I was guessing I’ll need at least the X11 desktop as it involved video. Also based on my prior experience in video streaming via VLC, which needs to run in a window. With that in mind, and my plan to run this headless, I’ll need to setup a remote desktop next. TightVNC is the de facto Remote Desktop package for Debian. After doing a little bit of reading, I found that x11vnc is actually a better choice, as it utilized the existing instance of the desktop powering the display, which means less resource hog. Using TightVNC on Linux would be akin to using RDP in windows, though TightVNC behaves as x11vnc when running in windows. Instruction to setup x11vnc can be found here. The video stream default to http://my_raspberry_pi:8081. Testing it on the desktop works flawlessly, but the opposite when viewed from an Android phone. The default Android browser tries to download the file. It does work on Chrome running on my SGS3, but it’s too heavy to be installed on my wife’s Xperia Mini. I then downloaded a few popular browsers and non of them work with the stream. Later on I found out that MJPEG is not supported oob in Android, bummer. Luckily I found an app called Mjpeg Viewer. Simply key in the URL and “click” Show. Voila! No complicated configuration or lengthy trial and error. Now it’s time to work on my torrent. I ran the Shibby mod of TomotoUSB firmware on my router. It comes with transmission and I’ve downloaded more than 100GB of “stuffs” using this setup, though it has a few glitches which I could bare with, until it time traveled back a month one day. A few of my downloads goes from 100% to less than 20%. Doing a “Verify Local Data” or force recheck is just too taxing for this little 200Mhz CPU, and it crashed transmission repeatedly. 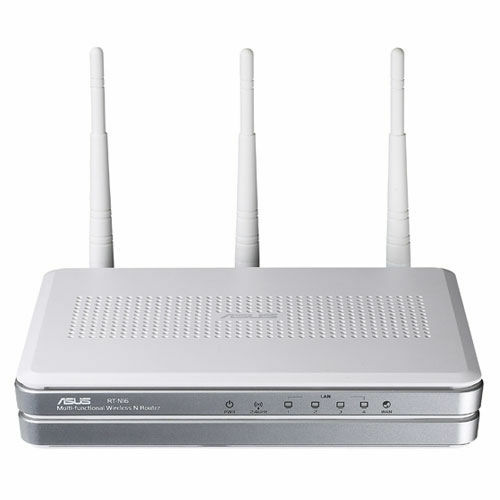 Don’t get me wrong, I love this router. It just didn’t do the “extra” that well. So now I’ll move the “extra” job over to the Pi, with 700MHz CPU, the task of hashing file should be, chestnutty though not peanuts :p. Setting up wasn’t any tougher with these instructions. I only followed the part for transmission and ntfs-3g (Default ntfs driver from the kernel is readonly) and skip the hard drive setup as I’m using my existing torrent drive, a 600GB external hard disk. Automount on Raspbian is helpful too, allowing me to avoid editing the error prone fstab. To make this copy of transmission recognizing all the previous progress, I need to copy the content of resume and torrents into /var/lib/transmission-daemon/info/. After firing up transmission, it listed all my torrents but all 0% with error “No Data Found”. Weird, so I decided to have a peek into the files inside resume and found that the existing path pointing to the actual file is hardcoded along with some cryptic resume data. I would normally avoid editing hundreds of resume files, but it’s not easy to move the mount point to the expected path, which is /tmp/mnt/Torrent/ while it’s currently mounted at /media/Torrent/. The shortcut to this is to create a shortcut a.k.a symbolic link which I can allow transmission to access all the data via both path. That only solved 80% of the torrents. What happen to the 20%? It must have been caused by some glitch on transmission with the path pointing to /mnt/Torrent/. Well, another symbolic link to the rescue, and now I have all my torrent back, ready to seed and download. It’s time to go back to the future, by “Verify Local Data”, and sure enough it doesn’t crash this time. PS:Any veteran linux user would notice a potential problem. No prizes but give it a guess.